House Clearance Service In All Areas Cleveleys, Fleetwood, Garstang, Great Eccleston, Pilling, Preesall, St Michael’s On Wyre, Thornton-Cleveleys. Hi, I urgently need a house clearance done tomorrow. The property is a two bedroom house with a double garage and a shed located in Poulton-le-Fylde, there is a lot in the property to go as the new buyer does not want any of the furniture kept and the carpets will need to come up. Please let me know if you can fit me in for tomorrow. Thank you, Claire. 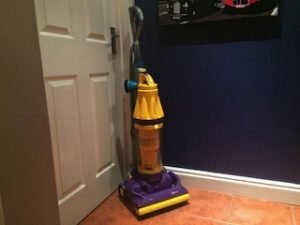 A yellow and purple Dyson DC30 upright vacuum cleaner. 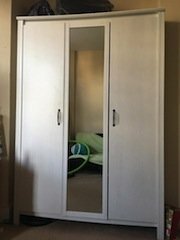 A tall standing white wood triple wardrobe, inlaid with a floor standing central mirror. 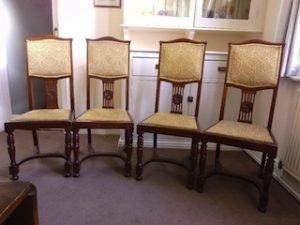 A set of four vintage style mahogany framed high back dining chairs, upholstered to the seats and backrests in gold damask patterned satin fabric. 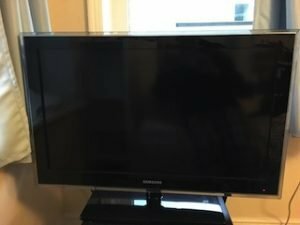 A black and silver Samsung 32 inch flat screen television. 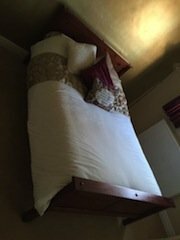 A solid wood three quarter double bed base, together with a matching white mattes. 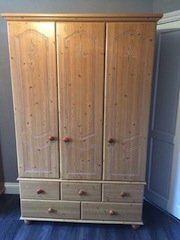 A tall standing solid pine triple wardrobe, having a double wardrobe aside a single wardrobe, with three small over two large drawers to the bottom. 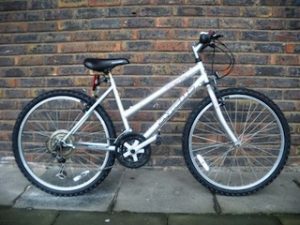 A silver framed 20 inch ladies mountain bike. 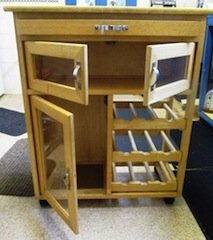 A solid pine and glass butchers trolley on castors, having a pull our chopping board above a double cupboard, a single cupboard aside a three tier wine rack to the bottom. 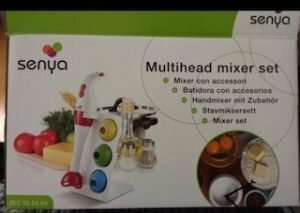 A brand new boxed colourful Senya multi head mixer set. 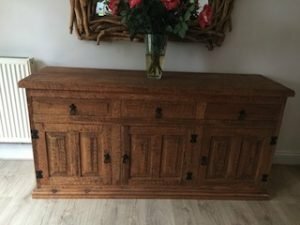 A Mexican solid wood large sideboard with cast iron mounts, having three drawers above a double and a single cupboard. 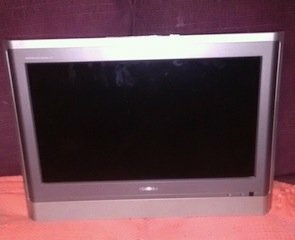 A 22inch Toshiba silver flat screen computer monitor. 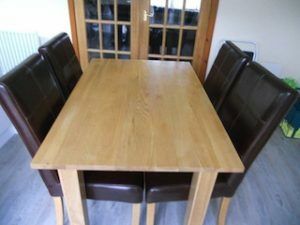 A solid pine rectangular dining table, together with four matching high back dining chairs, upholstered in chocolate brown faux leather. 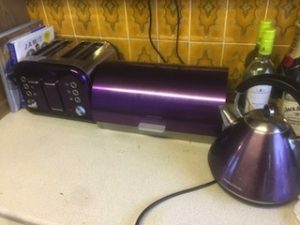 A three piece metallic purple and stainless steel, Morphy Richards kitchen accessory set, to include a four slice toaster, a large bread bin and a matching kettle. 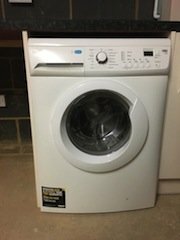 A white Zanussi Lindo 100 8kg under counter washing machine.